At this time tomorrow, Preston and I will be in Virginia Beach. Not only will we be celebrating the end of summer with a long weekend at the beach, but we’ll both be running in Sunday’s Rock ‘n’ Roll Virginia Beach races. Preston will be running the half marathon (his first race longer than a 10K since the Disney World Marathon back in January), and I’ll be running the mini marathon (aka 5K). I’ll be honest, I don’t feel all that prepared for a 5K race. Since my last 5K, the Firecracker 5K back on July 4th, my running focus has been on increasing my mileage base in anticipation of starting my half marathon training next week. Instead of focusing on running a 5K without any walking, I’ve instead been playing around with my run-walk intervals and building my long distance endurance (I’m currently at seven miles!). With that said, I still hope to do well at Sunday’s race. Since the Jaguar 5K back in April, my 5K paces have been increasing instead of decreasing, which has resulted from a number of factors, most notably the summer heat and humidity. Because my race paces increased with each subsequent 5K thus far this year, my main focus for Rock ‘n’ Roll is to run below an 11:00 min/mile pace. This pace will be faster than my Firecracker 5K pace, which was 11:20, and will still allow for a couple of brief walk breaks if necessary. Secondly, I want to have fun. 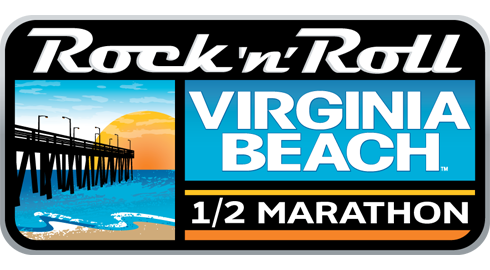 The Rock ‘n’ Roll series is well known for its entertainment along the route, and I can’t wait to enjoy some of the bands as I’m running 3.1 miles, most of which will be along the beach. Even more important than these two goals is the fact that I’m running this weekend in honor of my friend Tammy, who passed away in September 2004 after a four year battle with cancer. Because I’m running in her honor, I’ll be running to raise funds and awareness for Stand Up to Cancer through Charity Miles. Tammy will most definitely be on my mind throughout the race. This entry was posted in Races and tagged 5K, Charity Miles, goal, goal setting, inspiration, mini marathon, Rock 'n' Roll Marathon series, Rock 'n' Roll Virginia Beach, running, Stand Up to Cancer. Bookmark the permalink.